Talk about custom! The original C10 has been shown with different modifications. 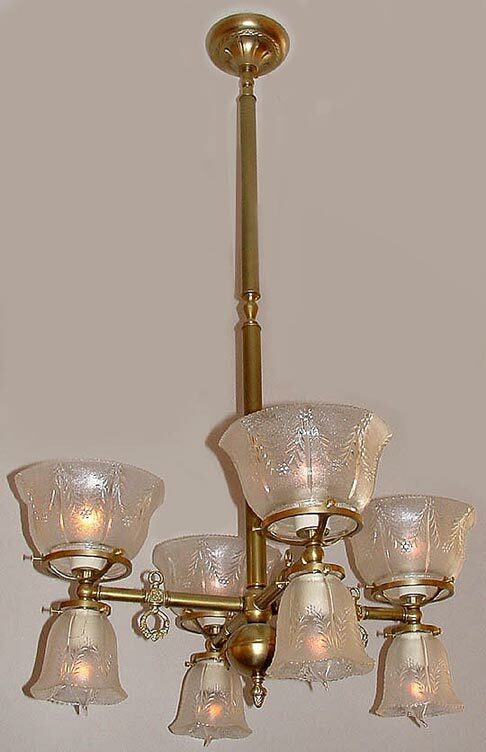 This gaslight reproduction includes an up and down light on each arm for the more demanding location. Take this one up to a 6 arm 12 light version with slightly longer arms and larger center body. 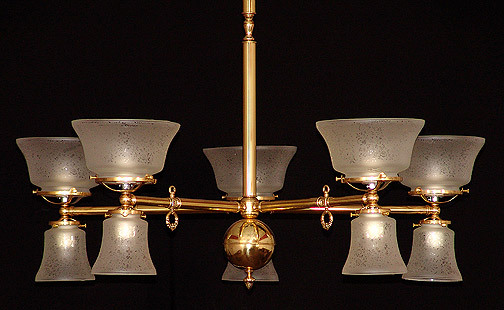 10 light version shown below in Polished Brass. Can be designed with arms facing up or down, same sized glass or flipped with small glass on top. Free mounting hardware included.